this old couple never spoke a word to each other, just sat there in their nice clothes and fished. each catch was thrown back. 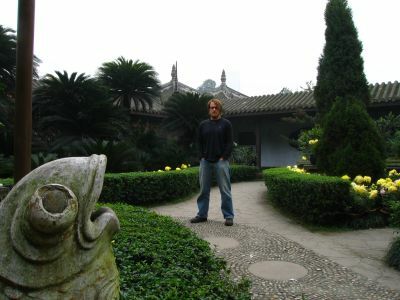 neil and i drank tea and watched them for an hour or so in the chengdu park. 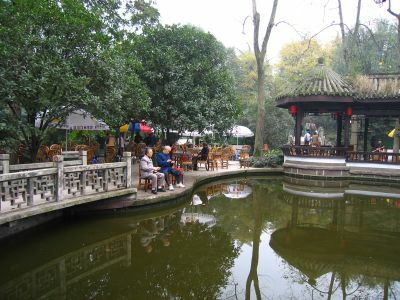 still in the same park in chengdu. 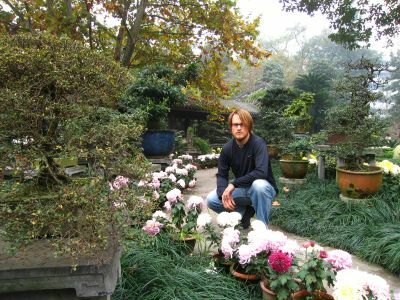 i loved the area with flowers, fish sculptures, and buddhist temples. 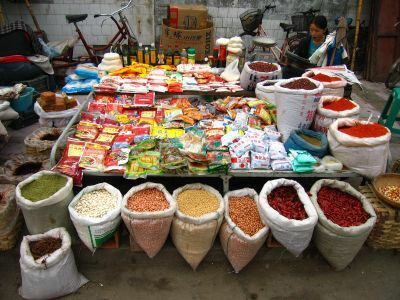 as neil and i wandered through chengdu, we constantly came upon streets filled with vendors selling myriad items from bicycles, trucks, stands, or tables. 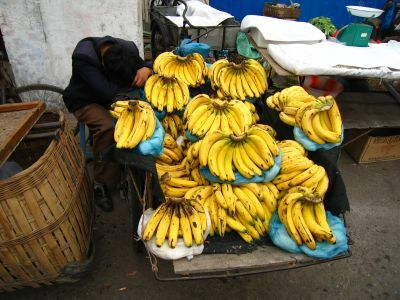 much of the time the proprietor was asleep on the job. 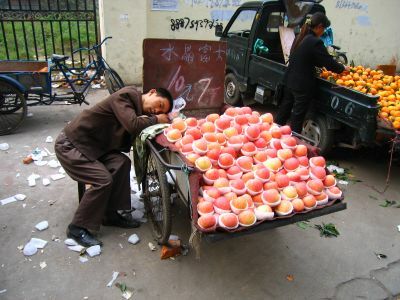 i call this "asleep at the apple cart." 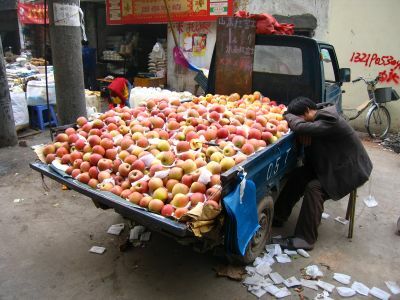 asleep at the apple truck. these restaurant workers prepare for the day. 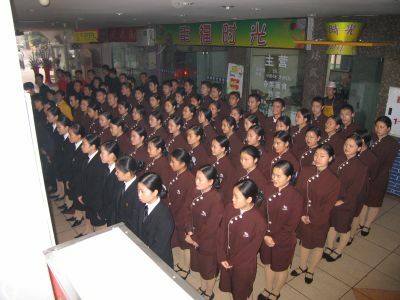 they lined up, their manager paced back and forth in front of them lecturing about something, and then they all sang. i took pictures of people who actually work. 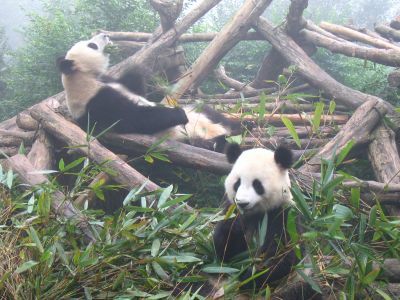 in chengdu there is a panda preserve where we saw pandas of all ages playing in excellent facilities, high in the chinese mist. 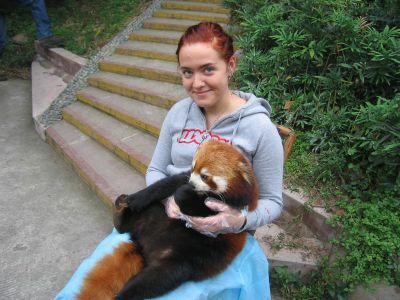 camilla holding a red panda.